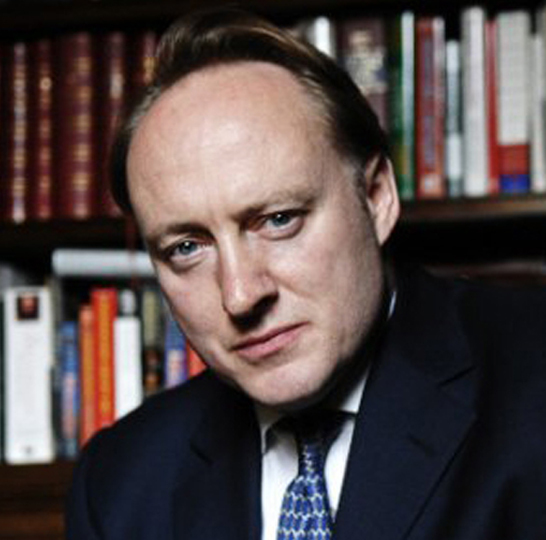 Andrew Roberts read modern history at Caius College, Cambridge, from where he is an honorary senior scholar and Ph.D. He has written twelve books, including Salisbury: Victorian Titan (which won the Wolfson Prize and the James Stern Silver Pen Award); Napoleon and Wellington; A History of the English-Speaking Peoples Since 1900 (which won the Intercollegiate Studies Institute Book Award); Masters and Commanders: How Roosevelt, Churchill, Marshall and Alanbrooke Won the War in the West 1941-45 (which won the Emery Reves Award); The Storm of War: A New History of the Second World War (which won the British Army Military Book Award); and Napoleon: A Life (which won The Los Angeles Times Biography Prize and the Grand Prix of the Fondation Napoléon). Professor Roberts is a Fellow of the Royal Society of Literature; a trustee of the Margaret Thatcher Archive Trust and the National Portrait Gallery; chairman of the Guggenheim-Lehrman Military Book Prize; the Lehrman Institute Distinguished Fellow at the New York Historical Society; and a visiting professor at the War Studies Department of King’s College, London. He has delivered the prestigious White House Lecture. Professor Roberts has lectured at Princeton, Yale and Stanford, and he was a visiting professor of history at Cornell. Professor Roberts serves on the academic boards of five conservative research institutes and organizations, and he is a founding member of the Friends of Israel Initiative. He lives in London with his wife Susan Gilchrist and children Henry and Cassia.